In August 2018, NYU Langone Health School of Medicine held its annual White Coat Ceremony, where incoming residents are presented their symbolic white coats by invited attendings from NYU Langone Health Hospitals and officially begin their medical school studies. These ceremonies are held at hospitals all over the country, but this particular ceremony was special, and for a very special reason. It was at this White Coat Ceremony that the NYU Dean of Admissions, Dr. Rafael Rivera, along with billionaire investor and philanthropist (and the program’s namesake) Kenneth Langone and his wife Elaine, announced to the audience of incoming medical students and their families in attendance, that NYU is now a tuition-free medical school….for all incoming and existing medical students….for all 4 years of their studies! 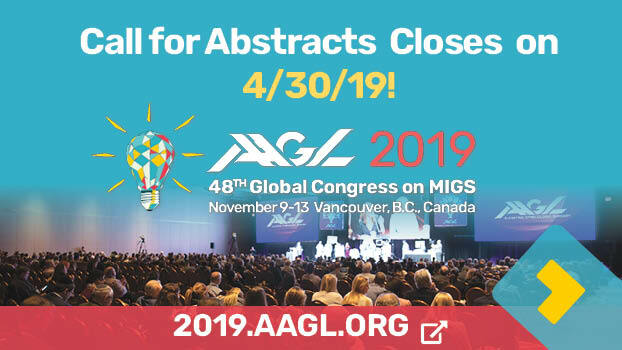 And our very own AAGL member, Dr. Kathy Huang, was one of the attendings invited to participate in this tremendous event, which was documented by CBS News and featured in a recent 60 Minutes segment that aired on April 7, 2019. We interviewed Dr. Huang to see what the experience was like for her firsthand. Q. How are attendings selected to participate in the White Coat Ceremony? How many have you participated in? A. You know, I’m not exactly sure what the selection process is. But it was the first one I participated in and what an honor it was to be a part of it. Q. 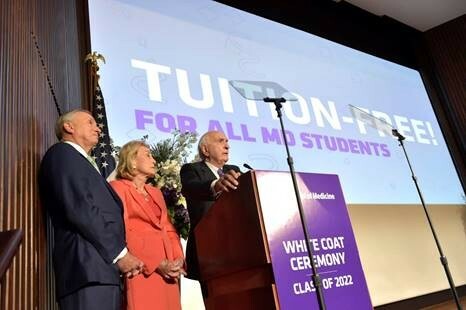 Did you and the other attendings know ahead of time that the tuition-free medical school announcement was going to be made that day? A. We did know before the white coat ceremony, but we were sworn to secrecy. Q. What was that experience like? The reactions of the students and their parents in attendance was incredibly heartwarming. A. The experience – I don’t even know how to begin to describe it. It was amazing to be a witness to history in the making. The Dean shared an incredible story about a student who was applying to college and had some debt and wasn’t able to start. The student reached out to the financial aid officer to work out a payment plan so he could attend college. The kind officer responded. Years later, this student is giving back as he is now the dean of NYU Langone Medical School. He did not want the financial burden to be the obstacle for education for anyone. It was incredible. I had no idea that he was talking about himself. He read the letter to the financial aid officer. The crowd erupted after they announced free tuition. It was overwhelming. I had tears in my eyes. Q. The Dean of Admissions for NYU Medical School, Rafael Rivera, reported in the story that by 2030 there will be a shortage of 49,000 primary care physicians in the US. How do you feel that tuition-free medical school will impact the medical community going forward? A. I think debts sometimes will force the medical students into fields that will pay more. Removing the debt will remove some of the barrier to go into primary care specialty. I’m very excited for what lies ahead for these students. 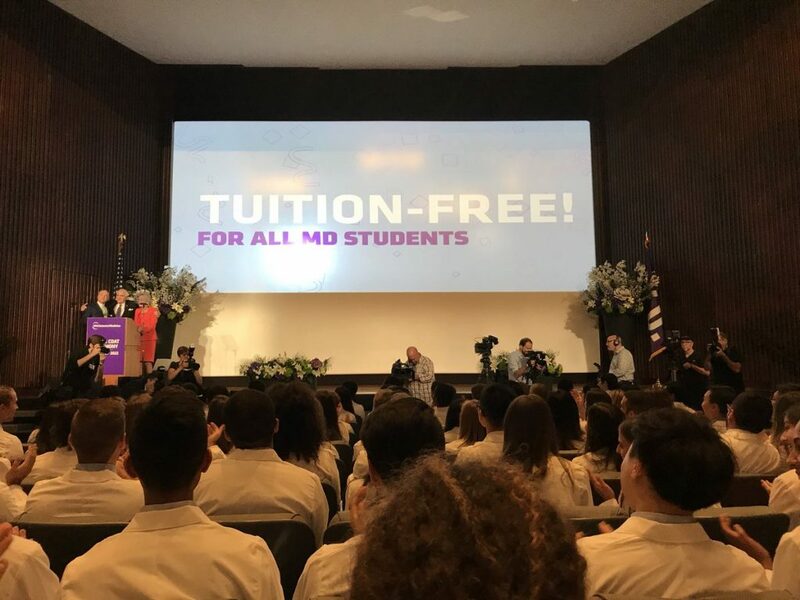 To read more about NYU’s road to making medical school tuition-free, click here. To watch the 60 Minutes piece, click here. 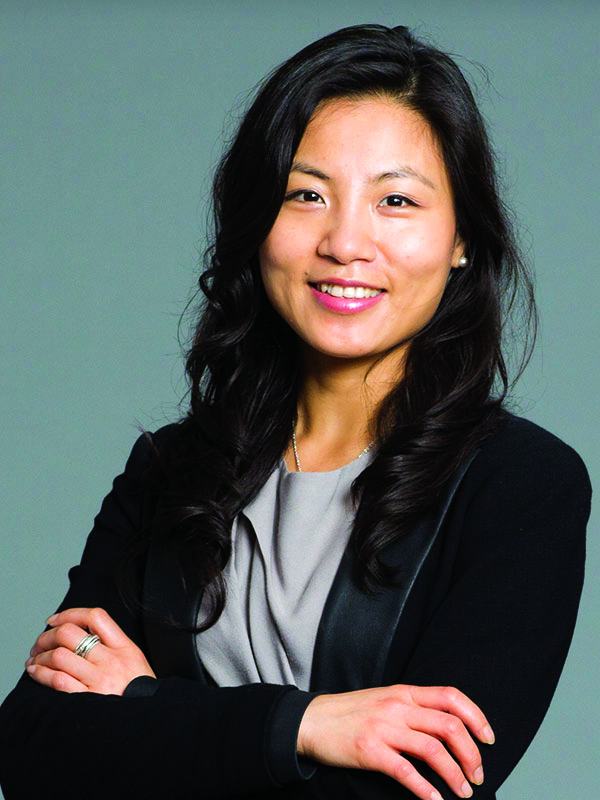 Kathy Huang, MD is a past member of the AAGL Board of Directors. She is Special Advisor, Technological Innovation; Co-Director, Robotic Surgery Center; Director, Benign GYN Surgery and Endometriosis Center at NYU Langone Health in New York, New York. Next story Decoding Coding: What is the Best Way to Code for Endometriosis?